Colormax Systems, K-Tron and Rotex can now offer a fully equipped test lab at their plant in Wuxi, China. Tests of process materials will help to answer critical process questions and determine the best configuration of the conveying, feeding or screening equipment for a particular product or group of products. 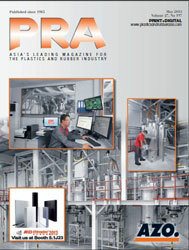 The consulting services cover many areas, including: Tests with actual bulk material; determining refill levels and systems for Loss-in-Weight feeders; determining appropriate material transfer systems; testing of feeding accuracy; long-term testing of feeding systems; bin design and selection of flow aid devices; mechanical and electrical interfaces with upstream and downstream systems; screening solutions; conveying system solutions; and, validation and final acceptance testing. 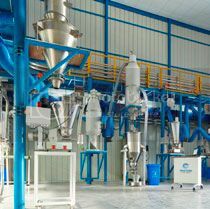 Return on Investment (ROI) can also be determined by considering the cost of the process material and the benefits of accurately controlling the rate of the ingredient fed into the process. Equipment in the test lab includes loss-in-weight feeders and pneumatic conveying systems from K-Tron, loss-in-weight feeders, vacuum loaders and pelletisers from Colormax Systems as well as screener & separators and particle size analysers from Rotex. Test dates and more information will be given from the sales offices of K-Tron in Shanghai; and Colormax & Rotex in Wuxi.